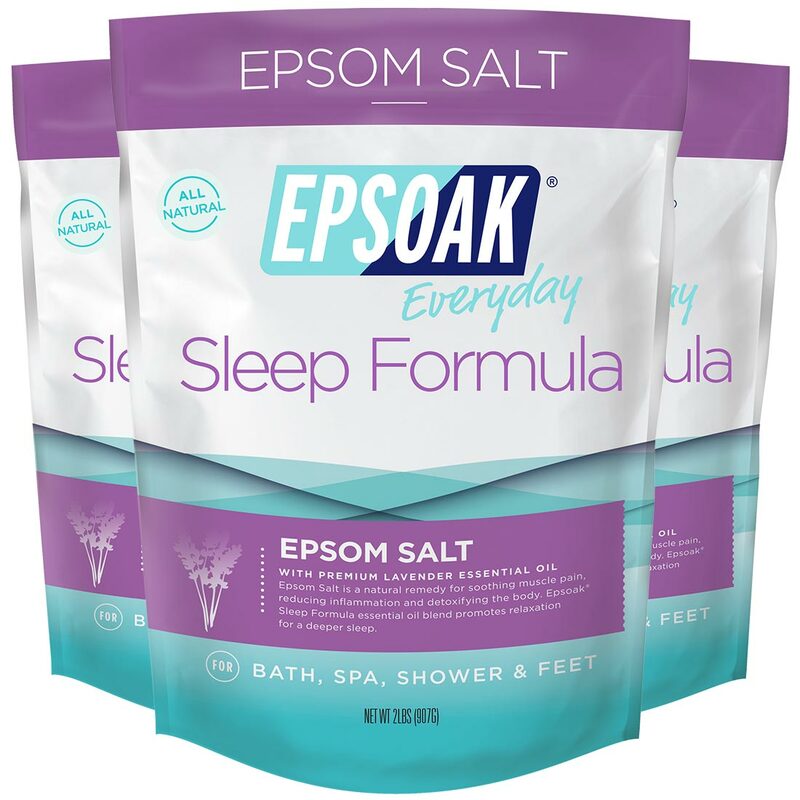 Epsoak Epsom Salt Sleep Formula 3 Pack | S.F. Salt Co.
Epsoak Sleep Formula by San Francisco Salt Company is made with premium Epsom Salt (Magnesium Sulfate) infused with Lavender essential oil. Sleep Formula is an all-natural remedy to soothe tired and aching muscles while promoting a deeper, better night’s sleep. It’s the perfect bath soak/foot soak for relaxing at the end of a long day. 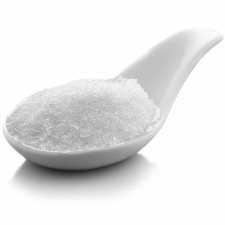 Known for its premium quality and many therapeutic uses, Epsoak Epsom Salt dissolves easily in warm water. Epsoak is a naturally translucent/white salt in medium grain (0.2-3mm). Our philosophy is simple.�We want you to remember how good it feels to take a bath.�Our products harmonize the therapeutic power of bathing, aromatherapy and Epsom Salt to transform your bath�into a healing ritual for your body�and mind. 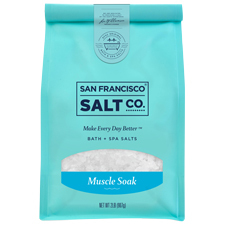 SOOTHE ACHES & PAINS:�Use Epsoak Sleep in a bath or foot bath to relieve muscle aches & pains and stiffness. The perfect evening bath after a stressful or demanding day. CLEANSE, SOFTEN & DETOXIFY SKIN:�Soaking in Epsoak Sleep helps to cleanse pores, soften skin and remove toxins from the skin and body. FOR A BETTER NIGHT'S SLEEP:�Sleep Formula is made with Epsoak EpsomSalt and premium Lavender essential oil to ease stress and encourage deep relaxation for a better night's sleep so you can awaken the next�morning�feeling well rested, rejuvenated�and ready to take on the new day. CALMING MAGNESIUM:�Magnesium has been known to ease stress, improve sleep, and boost concentration. This mineral also helps muscles and nerves function properly and regulates the activity of over 300 enzymes. Ingredients:�Magnesium Sulfate (Epsom Salt), Lavandin Hybrida Grosso (Lavender) Essential Oil, Tocopherol (Vitamin E), Aloe Barbadensis (Aloe Vera) Leaf Juice.